Design innovation and quality with a value for money service are the key tenets that Dale Jones Kitchens applies to everything in business. 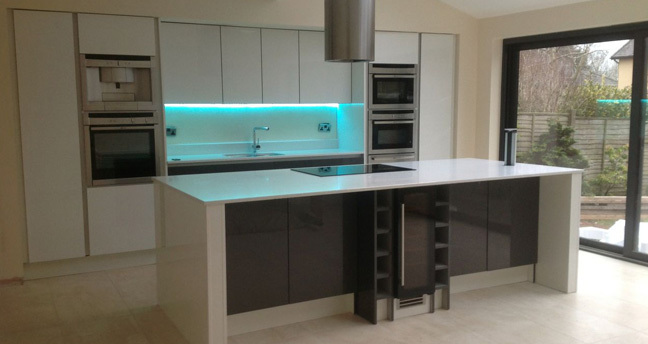 Dale Jones kitchens is a family run kitchen company that has been designing, building and installing the finest luxury kitchens for over fifteen years in the North West. Dale Jones kitchens, run by Dale himself, is synonymous with a perfect finish, a high value product and all created and installed at a value for money price. Dales Jones kitchens’ aim is perfection in everything; there is simply no detail left to chance. From your very first enquiry to the installation of the final plug socket and tile, we ensure that your ‘new kitchen experience’ is as enjoyable as possible. We specialise in providing high quality kitchens with a difference – this distinct difference being, straight forward value for money! Take a look at our gallery and see for yourself. We work with the very best brands when fitting kitchen appliances, our unique difference being, that we supply and fit at prices that high street stores with high overheads are not able to match. In short, our low overhead equates to a direct saving passed on to the customer. Our skilled craftsmanship runs deeper than kitchens alone. As perfectionists in what we do and with state of the art tools and equipment at hand we apply our knowledge and standards to creating bespoke bedroom furniture and bathroom vanity units. All created and fitted uniquely for you. Call us now for a free, no obligation survey and consultation on 07877 745 772. Looking for Bosch appliances? We can supply at trade prices saving you the usual retail mark-up. All current models available. Looking for NEFF appliances? We can supply at trade prices saving you the usual retail mark-up. All current models available. Are you looking for a poggen pohl kitchen? Look no further as we are approved fitters for all poggen pohl solutions. Are you looking for a pronorm kitchen? Look no further as we are approved fitters for all pronorm solutions. Looking for Siemens appliances? We can supply at trade prices saving you the usual retail mark-up. All current models available.